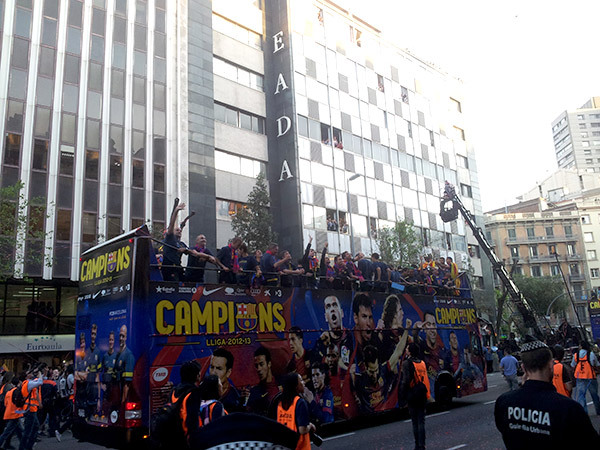 FCB celebrated winning the 2012-2013 Spanish league in theBarcelona city centre, passing in front of EADA. Classes in session at the time stopped temporarily so that participants could take photos. 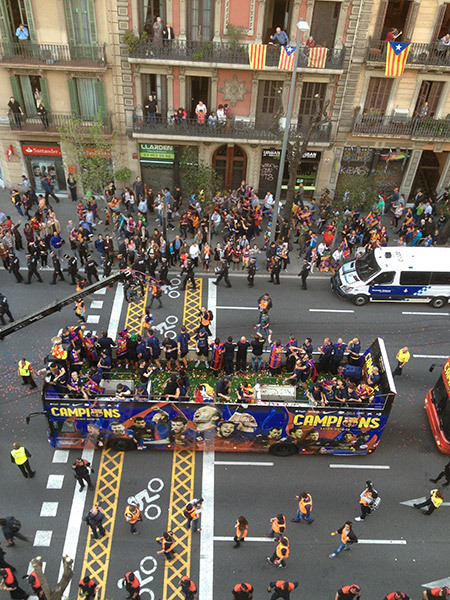 EADA’s central location allows participants to take part in the city’s events almost without having to leave the classroom, as seen in the photo. 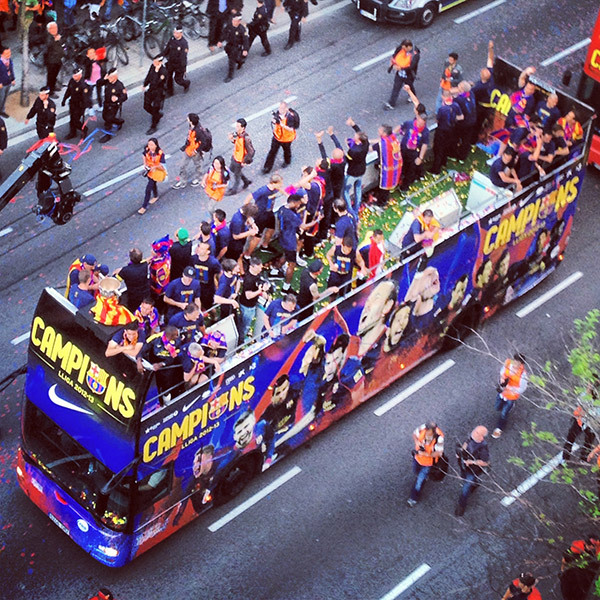 EADA would like to congratulate Barça on its newest win! 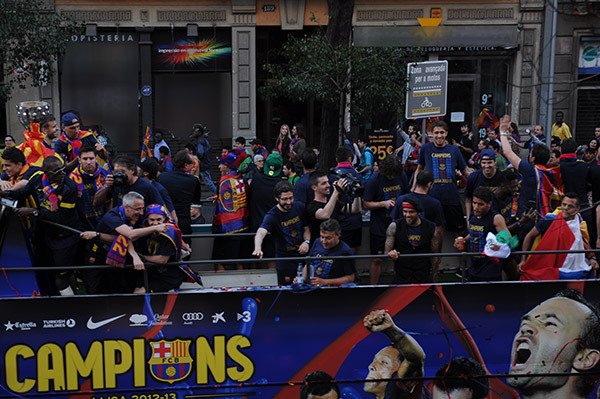 “EADA is the only business school in the Financial Times ranking located in the Barcelona city centre.” TOP 23 in Europe, TOP 70 world-wide.